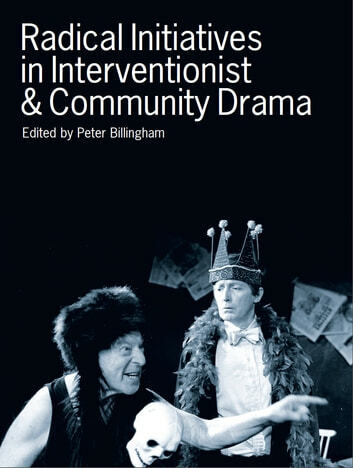 This new series of cutting edge critical essays and articles in issues concerning Drama and Performance opens with Volume I, which will focus on issues of Interventionist Drama and related examples of Drama as Community. The list of contributors is impressive and quite consciously eclectic, ranging from established scholars such as Dr. Lionel Pilkington (University of Galway) through to the latest talent emerging in the field of theatre research such as Bill McDonnell (University of Sheffield) and Maureen Barry (Bretton Hall College, University of Leeds.) There is also a significant international dimension to Volume I with contributions from Carole Christensen (Copenhagen) and - (South Africa), with Velda Harris (Central School of Speech and Drama) offering a critical evaluation of her work with nomadic tribes people in Azerbaijan. As with the series as a whole, the focus for this first collection is a fusion of high-quality scholarly research with dynamic and perceptive accounts from practitioners in their field of work. Similarly this collection represents an eclectic mix of material that is absolutely contemporary and previously unpublished, offering a unique insight into some of the ideological, methodological and aesthetic issues surrounding the generic area of Interventionist and Community Theatre.